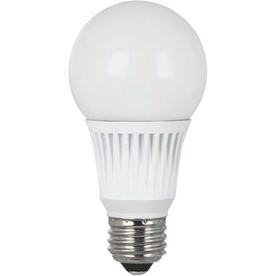 Uses 7.5-watts for 450 lumens of brightness. Bulb life is 25000 life hours or 22 plus years at 3 hours a day. Medium base most frequently used for house hold applications. Designed for indoor or enclosed use only with white housing. 3000K color temperature, warm white light.